Dr. Ron Frederick is co-founder of the Center for Courageous Living in Beverly Hills, CA author of the award-winning book Living Like You Mean It (Jossey-Bass), and a Founder and Senior Faculty Member of the Accelerated Experiential Dynamic Psychotherapy Institute. A long-time proponent of the power of therapy to transform lives, he has been providing innovative, experiential therapy to individuals and couples for over twenty years and is actively involved in the teaching and training of psychotherapists. Noted for his warmth, humor, and engaging presentation style, Dr. Frederick is a popular speaker and trainer for both general and professional audiences worldwide. He regularly leads workshops at the Esalen Institute, the Kripalu Center, and the Cape Cod Institute, has provided professional trainings for the Lifespan Learning Institute, Professional Psych Seminars (PPS), and Premier Education Solutions (PESI), and frequently speaks to national, state, and local organizations. Through his own personal experience, Ron recognized the limitations of traditional therapy and set out to discover methods that would allow people to realize their full potential and achieve true healing. While training at Beth Israel Medical Center in NYC, Ron discovered a group of therapists whose work transcended “talk therapy” and instead focused on facilitating here-and-now emotional experiences that were truly transforming for their clients. Ron knew he had found his professional home. Following a year-long training in Intensive Short-Term Dynamic Psychotherapy (ISTDP), he sought training and supervision from acclaimed psychologist, Dr. Diana Fosha, the developer of Accelerated Experiential Dynamic Psychotherapy (AEDP) and author of The Transforming Power of Affect. Since then Dr. Frederick has been practicing and teaching cutting-edge therapeutic approaches that utilize new emotional and relational experiences to resolve problems and remove blocks that hinder growth. He is certified as an AEDP Therapist and Supervisor and an EMDR Therapist and Consultant. 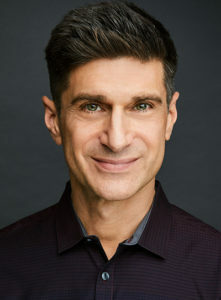 Born and raised in New Jersey, Dr. Frederick now lives in Los Angeles, CA. He can be reached via e-mail at DrRon@cfcliving.com, or by phone at 310.275.5075. Post-doctoral training in Medical Psychology and HIV/AIDS – St. Luke’s-Roosevelt Hospital Center, New York City. If you reach our voicemail, please be assured that all messages are confidential and that all calls are returned promptly. 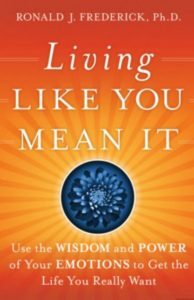 book chapter from “Living Like You Mean It”.